Pay no attention to the weather—come see 'Steamboat Bill' on Sunday, Feb. 21 at 2 p.m. at the Somerville Theatre. Of all the regular gigs I hold down, the monthly series at the Somerville Theatre ranks as perhaps the most authentic. Why? Well, for starters, the films are shown in an actual vintage theater that remains largely unchanged from the 1920s. Also, the series uses only 35mm prints, with projection handled expertly by David Kornfeld. Also, because the theater is right in the middle of metro Boston, it's not unusual for more than 100 people to turn up for a screening. So the experience comes pretty close, I think, to what it was like when these films were in original release. It's also a bit special for me because it's Boston, after all. Imagine: me doing film accompaniment in a world-class city that's home to some of most highly regarded music schools and institutions—and musicians—anywhere! Yo-Yo Ma, anyone? I know—I can't believe it either. I keep thinking some mistake must have been made along the way. Me at the keyboard (lower left) for 'Himmelskibet' (1918) during this year's Boston Sci-Fi 24-Hour Marathon at the Somerville Theatre. But until I'm told to stop, I'll continue trekking down to the Somerville each month for a silent film program. And the next one is tomorrow! Yes, the theater's 'Silents, Please!' 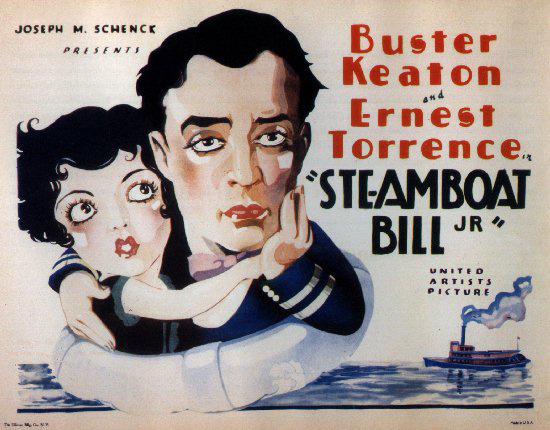 series, dormant over the holidays, reboots with 'Steamboat Bill, Jr.' (1928), Buster Keaton's legendary riverboat comedy. 'Steamboat' is so well-known, you almost don't have to include the film's title to get people to turn out. The one where the house falls on him. Tomorrow Sat 2/20 at 7pm w/me on pipe organ in Westchester. Yes, the one where the house falls on him. Of course! We're running 'Steamboat' on Sunday, Feb. 21 at 2 p.m. More info in the press release pasted in below. The thing about 'Steamboat' is that it was Keaton's final independent feature—the last film he made on his own, with financing by his brother-in-law, Joseph Schenk. With Keaton in charge, it was a team that produced a run of titles that no less a critic than Roger Ebert regarded as some of the best and most courageous filmmaking of any era. After 'Steamboat,' Keaton signed with MGM, becoming just another MGM superstar, with little control over his films. In hindsight, Keaton called it the worst mistake of his life. And knowing that, I think, colors my perception of 'Steamboat' just a little. No one knew it when the film was being planned, but 'Steamboat' marked the end of an incredibly fertile kind of filmmaking. It was a world where Buster, supported by Schenk's money, was free to take his time, improvise, experiment, and just keep trying things until he got what he was after. Did it work? Well, it was a method that produced great one-of-a-kind films such as 'The Navigator' (1924) and 'The General' (1927). Other filmmakers of the era, including Chaplin and Harold Lloyd, employed a similar system. So I think it was an essential ingredient in how their movies emerged as they did. I think there's a lot we could gain by studying how filmmakers of the 1920s went about creating new worlds, both on screen but also in the organization of their studio. Someone should do a study. Whether or not anyone ever does, we can still enjoy 'Steamboat Bill Jr.', so I hope you'll join us tomorrow (Sunday, Feb. 21) at the Somerville to see it in 35mm! 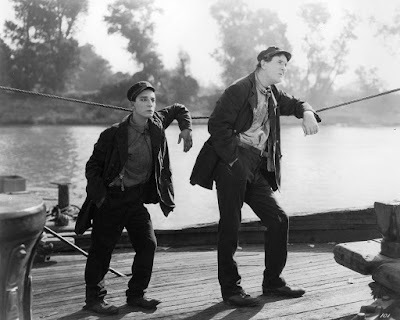 SOMERVILLE, Mass.—Silent film with live music returns to the Somerville Theatre this month with 'Steamboat Bill Jr.' (1928), a classic comedy starring Buster Keaton, one of the era's top performers. 'Steamboat Bill Jr.' will be revived for one showing only on Sunday, Feb. 21 at 2 p.m. General admission is $15 per person. With 'Steamboat Bill Jr.,' the Somerville Theatre resumes its popular 'Silents Please!' series, which gives movie-goers the chance to experience silent film in the way its makers originally intended: on the big screen, using 35mm prints, with live music, and with an audience. In 'Steamboat Bill Jr.,' Buster plays the bumbling son of a riverboat’s rough captain. When a rival brings a newer boat to the river, the family is forced to face competition, just as Buster is forced to ride out a cyclone threatening to destroy the community. Can Buster save the day and win the hand of his girlfriend? And will it matter that the girl just happens to be daughter of his father's business rival? The screening of 'Steamboat Bill Jr.' will feature live accompaniment by Jeff Rapsis, a New Hampshire-based performer who specializes in creating music for silent film presentations. 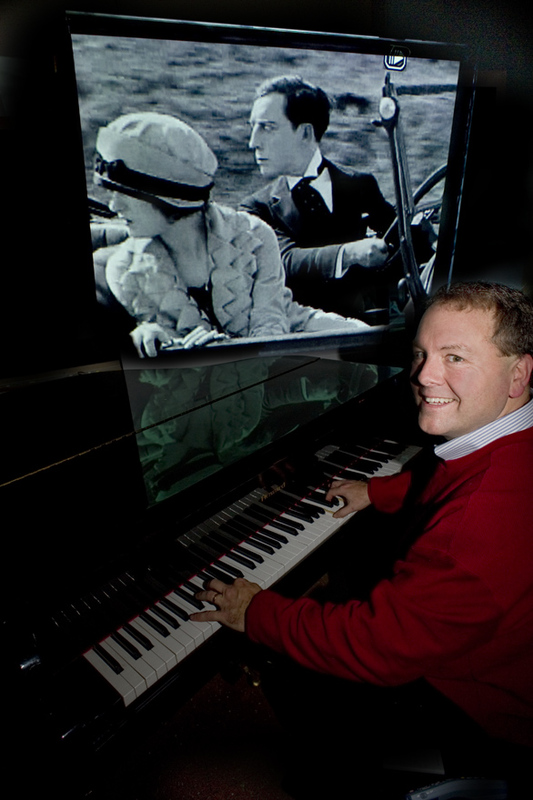 "Live music was an integral part of the silent film experience," Rapsis said. "Because most films at the time weren't released with sheet music or scores, studios depended on local musicians to come up with an effective score that would be different in every theater. At its best, this approach created an energy and a connection that added a great deal to a film's impact. That's what I try to recreate," Rapsis said. 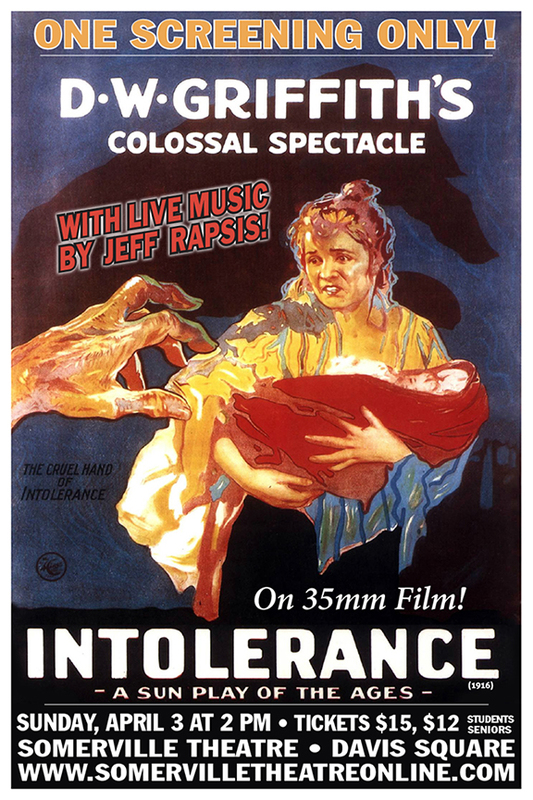 • Sunday, April 3: 'Intolerance' (1916). Nothing succeeds like excess as D.W. Griffith's massive four-stories-in-one spectacle celebrates its centennial. 'Steamboat Bill Jr.' will be screened in 35mm on Sunday, Feb. 21 at 2 p.m. at the Somerville Theatre, 55 Davis Square, Somerville, Mass. Admission to the screening is $15 or $12 seniors/students. For more info, call (617) 625-5700 or visit www.somervilletheatreonline.com. For more info on the music, visit www.jeffrapsis.com. Labels: Buster, Buster Keaton, Intolerance, Jeff Rapsis, Keaton, Silents Please, Somerville Theatre, Steamboat Bill, Steamboat Bill Jr.
on Friday, 2/19 at Red River in Concord, N.H. Promotional art for 'The Kiss' (1929), the last silent film released by a major U.S. studio. A freakish warm spell and heavy rain washed away much of our snow pack, but February continues like a toboggan ride out of control. Coming up on Friday night is Greta Garbo's 'The Kiss' (1929), the last silent film released by MGM. I'm doing music for a screening at Red River Theatres in Concord, N.H.
Showtime is at 7 p.m.; details in the press info pasted in below. Then on Sunday, Feb. 21 comes another double-header in Boston. 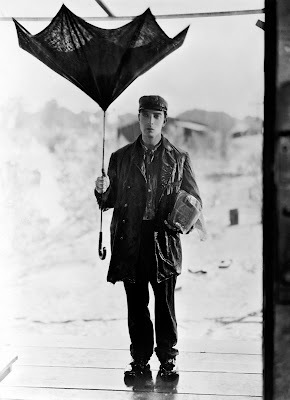 First, a 2 p.m. screening of Buster Keaton's 'Steamboat Bill, Jr.' (1928) at the Somerville Theatre in Davis Square. Then a 7 p.m. showing of Jean Epstein's 'The Adventures of Robert Macaire' (1925) at the Harvard Film Archive. 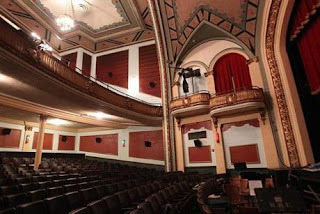 More about the Sunday films after I get through the Garbo program, which launches another season of silent film with live music at Red River Theaters in Concord, N.H.
And I'm pleased to say they continue to make room for silent film with live music. And for 2016, we've upped the pace to one show per month. • Friday, March 18: 'The Last Laugh' (1924) starring Emil Jannings, directed by F.W. Murnau. Ground-breaking character study. • Friday, April 15: 'Underworld' (1928) directed by Josef von Sternberg; started gangster movie craze and paved the way for film noir. • Friday, May 13: 'The Golem' (1920) In 16th-century Prague, a rabbi brings a statue to life protect the Jews of Prague from persecution. • Friday, June 10: 'The General' (1927) starring Buster Keaton. Classic tale of locomotives during the U.S. Civil War. Some great stuff on the schedule! From 'The Kiss': No caption really needed. This one is worth seeing—first, because Garbo is an eternally bankable star and worth watching no matter what the film happens to be. That face! 'The Kiss' is also notable in that it's the last silent film released commercially by a major U.S. studio. MGM put the film in theaters on Nov. 16, 1929. By this late date, silent film was all but dead, with the public was clamoring for talking pictures as the 1920s ended and the Great Depression took hold. Knowing this lends 'The Kiss' a kind of wistful quality, at least to me. Here's the thing: although it's no masterpiece, 'The Kiss' flows naturally and confidently, making seamless use of the techniques used to tell a story visually, which is how silent film worked. Shooting 'The Kiss': the last days of silent film production. That it looks so effortless, of course, is the product of several decades of hard-won experience. It took plenty of trial and error for directors and actors and cinematographers to get where they were at the end of the 1920s. 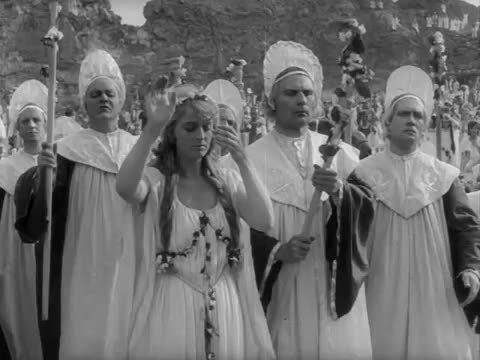 What would happen if silent films had continued to be produced into the 1930s and beyond? They could have been made alongside talking pictures, as many observers at the time predicted would happen. Well, we'll never know. After 'The Kiss,' the silent film went silent. But among its other qualities the last silent film, 'The Kiss' conveys a sense of what was still possible in the form. There's a freshness to it that persists to this day—perhaps even more so, as the disciplined way of telling a story visually in well-made silent film is indeed new again to most audiences today. So watch 'The Kiss,' and you'll see an art form that wasn't dying. Rather, it was killed outright. And how appropriate for a "who-dunnit" story. For more info on 'The Kiss' and our screening on Friday night, the press release text is pasted in below. 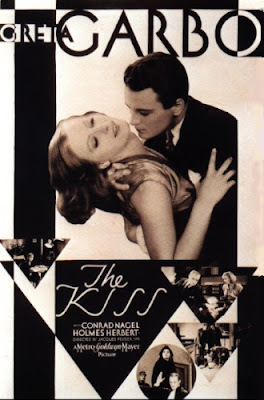 Promotional poster for 'The Kiss' (1929). CONCORD, N.H.—It was the very last silent film produced by a major studio in the United States. 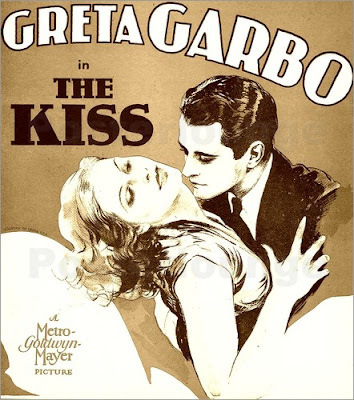 Starring Greta Garbo, 'The Kiss' (1929) was released by MGM in November 1929, long after all other Hollywood studios had abandoned the silent genre in favor of the popular new "talkies." 'The Kiss,' an intense romantic murder mystery, will be screened with live music on Friday, Feb. 19 at 7 p.m. at Red River Theatres, 11 South Main St., Concord, N.H. Tickets are $10 per person. 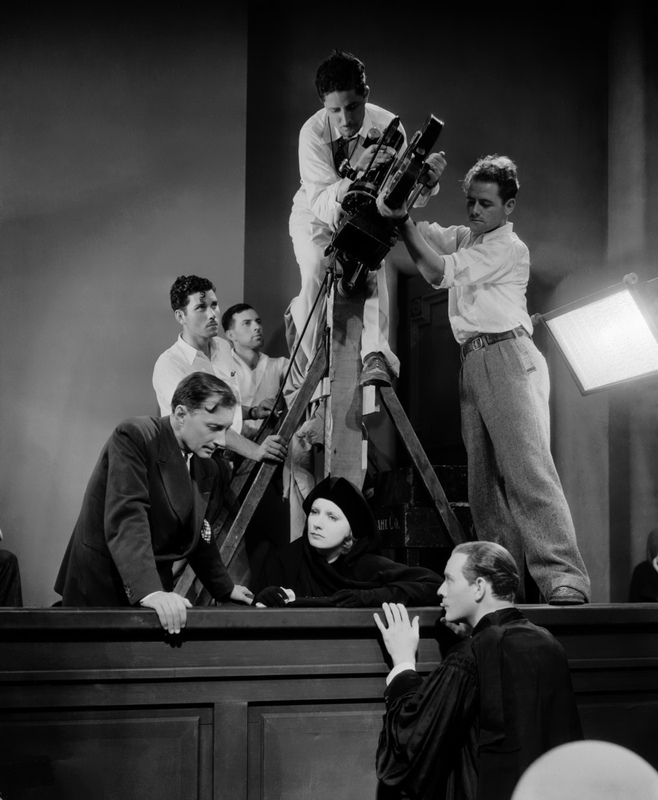 In 'The Kiss,' Irene (Greta Garbo) plays a young woman unhappily married to an older gentleman; to add to her woes, she is in love with a young lawyer, André (Conrad Nagel). Unable to find a solution to continue their romance, they stop seeing each other. Irene starts spending her time with young Pierre (Lew Ayres), the son of her husband's business associate, who is infatuated with her. When Pierre leaves for college, he begs her for a goodbye kiss. After a chaste kiss, Pierre steals another more passionate one—as Irene's husband takes notice. This sets the stage for a murder mystery, the ensuing trial, and a dramatic conclusion. Directed by Jacques Feydau, 'The Kiss' also stars actors Conrad Nagel and Lew Ayres. 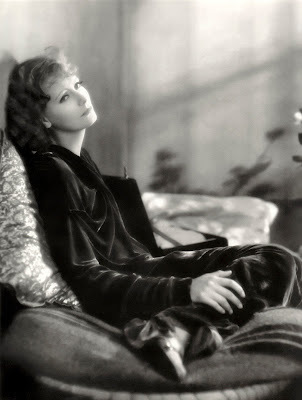 MGM kept releasing silent films with Garbo in part because the Swedish actress lacked a solid command of English, which she spoke with a very thick accent. Worried at damaging the appeal of a highly bankable star, MGM continued to feature Garbo in silents for as long as possible, even as the industry otherwise switched over to sound films. 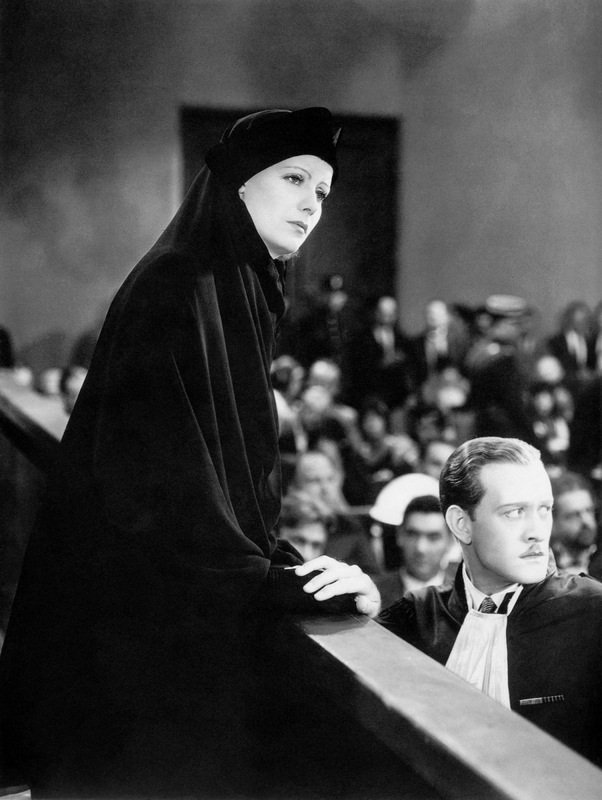 However, following 'The Kiss,' Garbo found continued success in talking pictures beginning with 'Anna Christie' (1930), her husky and distinctive voice proving to be a large part of her enduring appeal. 'The Kiss' will be accompanied by live music by Jeff Rapsis, a New Hampshire-based silent film accompanist who performs at venues across the region and beyond. "Films such as 'The Kiss' were created to be shown on the big screen and in a theater as a communal experience," Rapsis said. "With an audience and live music, they still come to life in the way their makers intended them to. 'The Kiss' (1929) will be shown at Red River Theatres, 11 South Main St., Concord, N.H. on Friday, Feb. 19 at 7 p.m. in the Jaclyn Simchik Screening Room at Red River Theatres, 11 South Main St., Concord, N.H. Admission is $10 per person; for more info, call (603) 224-4600 or visit www.redrivertheatres.org. For more information about the music, visit www.jeffrapsis.com. It's shaping up to be kind of a schizophrenic Valentine's Day this year. This evening, I get to do music for Clara Bow's Jazz Age romantic comedy 'It' (1927) at the Aeronaut Brewery in Somerville, Mass. But before that happens, there's 'A Trip to Mars' (1918), a full-length space travel epic from Denmark that's part of this year's annual 24-hour Boston Sci-Fi Marathon. So Mars first, then Clara Bow later. There must be some kind of "Men are from Mars" wisecrack to make here, but I just can't think of it. Actually, the sci-fi "Thon" (as it's called) is one of my favorite gigs of the year. This is mostly due to the audience, which consists of something like 600 hard-core sci-fi fans who gather each year at the Somerville Theatre in Brigadoon-like fashion for a kind of mass binge watch. Held each year on Presidents Day weekend, the "Thon" (now in its 41st year) is a kind of tribal gathering complete with rituals such as contests for the best tinfoil hat and best alien mating call. So it's very different from the usual silent film crowd. But that's why I like it. It's a special pleasure (and also a challenge) to create live music that helps vintage sci-fi material from the silent era connect with this crowd. Bore them, and they'll let you know. But get it right, and you won't find a more engaged audience. I first did it in 2011 for the 1916 version of '20,000 Leagues Under the Sea.' And last year, it was 'The Cabinet of Dr. Caligari' (1920). 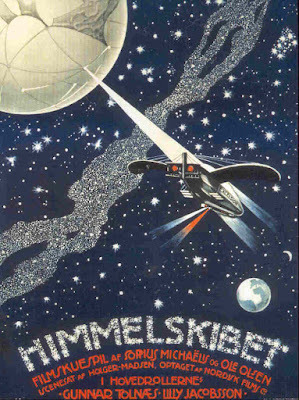 This time around, it's for 'A Trip to Mars' (Danish title: 'Himmelskibit') a 1918 film that was beautifully restored in 2006 by the Danish Film Institute, and which is being shown via DCP as part of this year's marathon. I keep saying this, and I'll say it again: even after scoring literally hundreds of silent features, I continue to be surprised by amazing films I've never heard of before. And 'A Trip to Mars' is yet another. The inhabitants of Mars welcome visitors from Earth. I don't want to spoil anything about the movie for those who may see it, other than to say who knew the inhabitants of Mars would turn out to be vegetarian? Alas, if you'd like to see it, you'll need to buy a ticket to the entire 24-hour event, which costs $64.50. But for that you'll get an amazing and memorable experience like none other, and a terrific line-up of films too numerous to list here. For more info, visit www.bostonscifi.com and it's all there. Later this evening, it's music for the Jazz Age romantic comedy 'It' (1927) starring Clara Bow in what would be her breakout performance. 'It' is playing at the Aeronaut Brewery (also in Somerville) as part of a Valentine's Day celebration. Showtime is 8 p.m. It's a ticketed event and I'm pleased to say it's almost sold out, according to the Aeronaut's Facebook and Eventbrite posts. So if you haven't got tickets, go the Aeronaut's EventBrite site and snag yours right away. Alas, the Aeronaut cannot exceed its occupancy permit and so the seating does have a cap. However, if you're a fan coming into town specifically for this show, please give me a call at (603) 236-9237 and we'll see what we can do. It should be a fun evening, as the Aeronaut screenings draw many non-traditional silent film fans who seem to have a ball discovering pop culture from another era. And I certainly enjoy helping bring it to life! If you're unfamiliar with the Aeronaut or 'It,' the text of the press release is pasted in below. One thing I like to point out about this movie is that it's one of the more prominent early examples of product placement. The whole film is built on Elinor Glyn's writing in Cosmopolitan, and the magazine itself is featured prominently on screen. And how interesting that Cosmo is still with us, and still concerned about roughly the same issues. Clara Bow flirts in unsubtle fashion with business tycoon and dreamboat Antonio Moreno. SOMERVILLE, Mass.—A film that helped define an era returns to the big screen in February at the Aeronaut Brewery. 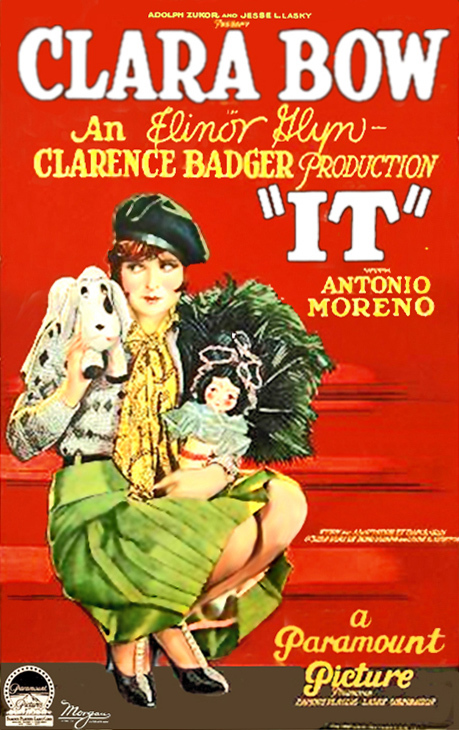 'It' (1927), a romantic comedy that came to epitomize the Jazz Age of the 1920s, will be screened with live music on Sunday, Feb. 14 at 8 p.m. at the Aeronaut Brewery, 14 Tyler St. (near Union Square), Somerville, Mass. The special Valentine's Day screening is open to the public and is part of the Aeronaut's commitment to showcase local music, art, and performance. "We thought a silent film about love and romance would be the perfect way for people to celebrate Valentine's Day in a fun and memorable way," said Aeronaut spokesperson Christine Holmes. 'It' tells the story of a sassy shop girl who sets her sights on the handsome and wealthy boss of the department store where she works. The two are from completely different circles of society, but will attraction be strong enough to bridge the gap in their backgrounds? 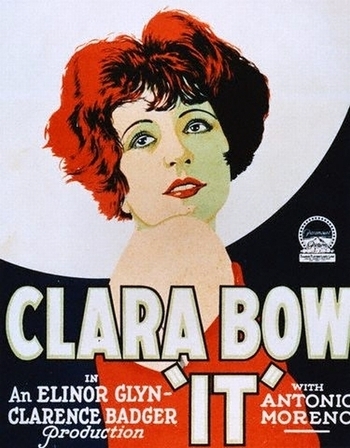 The film made actress Clara Bow a major star, earning her the nickname of the 'It' girl. Released at the height of the Jazz Age, the movie was a hit with audiences, breaking box office records. 'It' is based on a novella written by Elinor Glyn and originally serialized in Cosmopolitan magazine. Glyn, whose writings popularized the concept of 'It' as a quality of attractiveness, has a cameo role as herself in the film. 'It' is also an early example of product placement, as Cosmopolitan magazine is featured prominently in a scene where a character reads Glyn's story and introduces it to the audience. The picture was considered lost for many years, but a copy was found in Prague in the 1960s. In 2001, 'It' was selected for preservation in the U.S. National Film Registry by the Library of Congress as being "culturally, historically, or aesthetically significant." The special Valentine's Day screening will feature live music by Jeff Rapsis, a New Hampshire-based silent film accompanist and composer. "Among silent films, 'It' remains an audience favorite," said Rapsis, who accompanies silent film programs at the Somerville Theatre, the Harvard Film Archive, and at venues around the country. 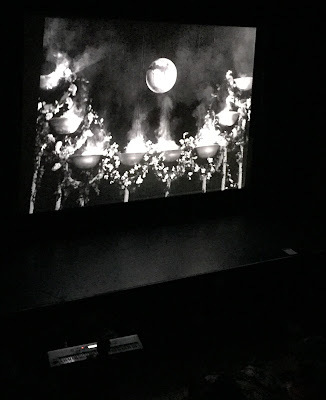 "People continue to be surprised at how engrossing and exhilarating silent films can be when shown as they were intended—in a theater, and with live music," Rapsis said. To accompany 'It,' Rapsis will use a digital synthesizer to recreate the texture of the full orchestra. The score is created live in real time as the movie is screened. Rather than focus on authentic music of the period, Rapsis creates new music for silent films that draws from movie scoring techniques that today's audiences expect from the cinema. A special Valentine's Day screening of 'It’ (1927), a romantic comedy starring Clara Bow, will take place on Sunday, Feb. 14 at 8 p.m. at the Aeronaut Brewery, 14 Tyler St. (near Union Square), Somerville, Mass. Admission is $10 per person and are available online at www.eventbrite.com (search on "Aeronaut Brewery") or via Facebook at www.facebook.com/events/961744873899654. For more info, visit www.aeronautbrewing.com or call (617) 987-4236; for more info on the music, visit www.jeffrapsis.com. It's been a busy time in the film accompaniment biz! Recent gigs range from a pot luck supper at the Campton (N.H.) Historical Society this weekend to a screening last night at the Harvard Film Archive. But through it all, I've been looking forward to an unusual and special program we've planned for tomorrow night. 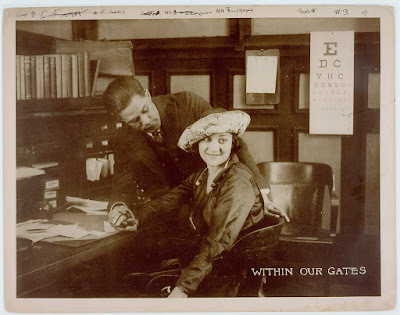 On Thursday, Feb. 11, I'll be accompanying Oscar Micheaux's silent drama 'Within Our Gates' (1920). It's the earliest surviving work by an African-American filmmaker, and it's my privilege to be creating live music for this landmark movie. The screening is part of our regular monthly series of silent film screenings with live music at the Flying Monkey Moviehouse and Performance Center, 39 South Main St. in Plymouth, N.H. This program is designed to celebrate Black History Month. It grew out of discussions that took place last month when we ran D.W. Griffith's monumental (and monumentally racist) epic 'The Birth of a Nation' (1915) as a way to mark Martin Luther King Jr. Day. I suppose you could say that not everyone agreed with my decision to link 'The Birth of a Nation' with MLK. Although our intention was to show the racism and prejudice that Dr. King (and so many others) had to overcome, some people felt strongly that there were better ways to accomplish this goal. But I'm so pleased to say that as an outgrowth of these discussions, we could put together a silent film program that everyone agrees is appropriate for Black History Month. It was a great opportunity to revisit the issue of racism (as it pertains to silent film) in a whole different way. Many thanks to theater owner Alex Ray for facilitating this program, and for all the people whose thoughts and ideas contributed to it coming together so quickly. I've never done music for 'Within Our Gates' before, and I've learned a lot about Micheaux and the experience of Black filmmakers (and filmgoers) in the early days of cinema. Showtime is 6:30 p.m., and the program includes speakers who are much better equipped than I am to discuss the film and talk a little bit about the African-American experience in America. Highlights include remarks from Michael Fischler, an author who will recount his experience of teaching at an all-black segregated high school in Florida on the day Martin Luther King Jr. was assassinated in 1968. We'll also hear from Prof. Metasebia (Metty) Woldemariam, a faculty member at Plymouth State University who will discuss Micheaux's career and put 'Within Our Gates' in context. Admission is $10 per person. Hope to see you there! For more information, please check out the press release below. Thanks! 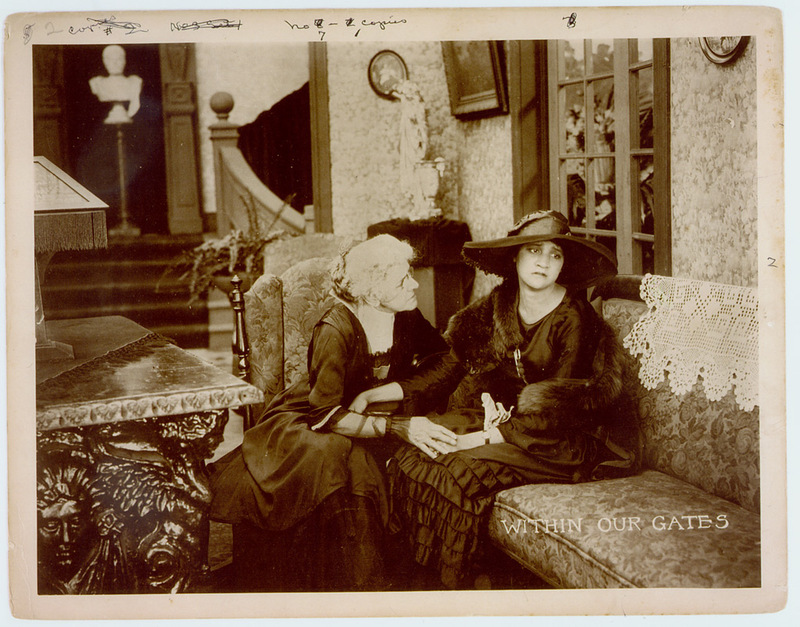 A scene from Oscar Micheaux's silent drama 'Within Our Gates' (1920). PLYMOUTH, N.H.—A movie regarded as the earliest surviving feature film directed by an African-American will be the centerpiece of a salute to Black History Month at the Flying Monkey Moviehouse and Performance Center. The film, Oscar Micheaux's 'Within Our Gates' (1920), will be shown as part of a special program on Thursday, Feb. 11 at 6:30 p.m.
Live music for the silent drama will be provided by Jeff Rapsis, a New Hampshire-based silent film musician who frequently accompanies programs at the Flying Monkey. The program also will include remarks by speakers about the film, the legacy of Dr. Martin Luther King Jr., and the Black experience in America. Featured will be a presentation by Michael Fischler, an author and educator who will reflect on the life and legacy of Dr. Martin Luther King Jr. and the impact of his assassination in 1968. On the day following King's Death in 1968, Fischler was a Social Studies and English teacher in an all-Black middle school in the Miami, Fla. area. Seizing the moment, Fischler redirected his planned learning experiences for the day to facilitate a powerful lesson in honor of MLK Jr.
Fischler published recollections of the event, as well as excerpts from a letter he composed to Coretta Scott King, widow of the slain Civil Rights leader. The letter, published in "Annual Editions in Multicultural Education," retells the lesson and the influences on the author's life. Also on the program: An overview of Micheaux's career and the minority movie-going experience by Metasebia Woldemariam, PhD, Associate Professor in the Department of Communication and Media Studies, Plymouth State University. The Flying Monkey had originally scheduled a Valentine's Day program for its February silent film screening, but recently opted to change the focus to a program honoring Black History Month. "We felt this was an appropriate way to pay tribute to an important part of America's multi-cultural community," said Alex Ray, the Flying Monkey's owner. "Showing 'Within Our Gates' for Black History Month is an excellent way for today's audiences to understand how pervasive racism was at the time, and perhaps get us to think how much work we still need to do to achieve Dr. King's vision," Ray said. "We're especially glad to work with people in the community, including members of the Black Student Union at Plymouth State University, who were among those who suggested this program," Ray said. Another scene from Oscar Micheaux's silent drama 'Within Our Gates' (1920). 'Within Our Gates' was produced at a time when the mainstream Hollywood film industry was shut off to Black Americans. 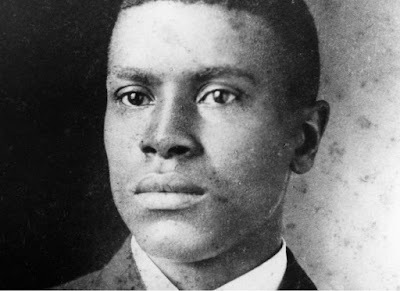 Micheaux, however, was able to self-produce 'Within Our Gates' on a shoestring budget and outside the studio system. 'Within Our Gates' portrays the contemporary racial situation in the U.S. during the early 20th century—the years of Jim Crow, the revival of the Ku Klux Klan, and the Great Migration of Blacks to cities of the North and Midwest. It was part of a genre called race films. The plot features an African-American woman who goes North in an effort to raise money for a rural school in the Deep South for poor Black children. Her romance with a Black doctor eventually leads to revelations about her family's past and her own ancestry. The film portrays racial violence under white supremacy. It was produced, written and directed by Micheaux. 'Within Our Gates' stirred up considerable controversy during its original release because it contained a scene in which a black man is lynched by a white mob. At first the film, which eventually had its premiere in Chicago, was rejected by the Chicago Board of Movie Censors who were afraid the movie could possibly inspire a race riot. However, a second screening of the film by the press, Chicago politicians, and prominent members of the black community convinced the Censors to grant the film a permit since it addressed horrendous conditions that needed reform. Not everyone agreed with this assessment, however, and some of the most vigorous protestors against the film were black activists. Not surprisingly, white theatre owners in the south who catered to black patronage were also offended by 'Within Our Gates' and refused to book it. One theatre owner in Shreveport, La., admitted "it was a very dangerous picture to show in the south" and his comment was typical for the region. Micheaux, no stranger to controversy, refused to compromise his material despite being locked out of numerous distribution channels and went on to tackle other unpopular but equally topical problems in films like 'God's Stepchildren' (1938), in which a light-skinned African-American tries to pass for Caucasian, and B'irthright' (1939), the story of a black Harvard graduate who encounters opposition from both whites and members of his own race. While Micheaux was well aware that audiences wanted to be entertained, he also felt it was his duty to confront challenging issues that would, in his words, "leave an impression" on audiences. Michaeux died in 1951 at age 67, having independently produced a total of 44 films and earned a reputation as the most successful African-American filmmaker of the first half of the 20th century. for many years, 'Within Our Gates' was regarded as a lost film. However, a single copy turned up in Spain in the 1970s. The version to be screened at the Flying Monkey descends from this single surviving copy. The precursor to Black History Month was Black History Week, established in 1926 to coincide with the birthday of Abraham Lincoln on Feb. 12 and Frederick Douglass on Feb. 14. Primary emphasis was placed on encouraging the coordinated teaching of the history of American blacks in the nation's public schools. In 1976, the expansion to Black History Month was officially recognized by the U.S. government. At the time, President Gerald Ford urged Americans to "seize the opportunity to honor the too-often neglected accomplishments of black Americans in every area of endeavor throughout our history." ‘Within Our Gates’ (1920) will be shown with live music on Thursday, Feb. 11, at 6:30 p.m. at the Flying Monkey Moviehouse and Performance Center, 39 South Main St., Plymouth, N.H. The film is part of a program to salute Black History Month and honor the legacy of Dr. Martin Luther King, Jr. Admission is $10 per person. For more info, call the box office at 603-536-2551 or visit www.flyingmonkeynh.com. For more info on the music, visit www.jeffrapsis.com. Nils Asther and Greta Garbo consider their options in 'Wild Orchids' (1929), a late MGM silent. It's February, and the calendar brings with it two ways to warm up: screenings for Valentine's Day, and screenings at a small town historical society's annual pot luck supper and movie night. On Tuesday, Feb. 2, our monthly feature at the Manchester (N.H.) City Library is 'Wild Orchids' (1929), a torrid late MGM silent starring Greta Garbo. Showtime is 6 p.m.; admission is free, with donations accepted and oh-so-appreciated. And then on Saturday, Feb. 6, I haul myself up to the Campton (again N.H.) Historical Society, where we're running a double feature of Rin Tin Tin adventure films. Showtime is—well, the annual potluck supper is at 5 p.m., and we usually start the movie program sometime after 6 p.m.
Free admission again, although if you're attending the pot luck it's good manners to bring a dish to share. Of the two programs, the Garbo film is new to me. 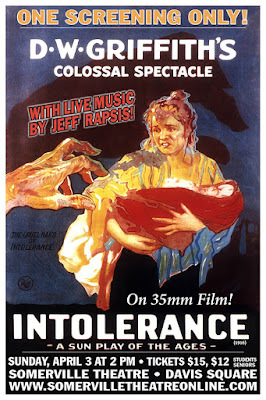 And after doing two screenings of Griffith's 'Intolerance' in the past week (plus one of 'Metropolis'), I'm really looking forward to taking it slow and letting the romantic tension build. I don't generally send out press releases for the Manchester City Library series, in part because I'm just lazy, but also because I tend to program obscure or lesser-known titles that are unlikely to draw a big crowd anyway. We do have our loyal attendees, but anyone is welcome to pop in. Hope to see you there! I did, however, send out a release for the program up in Campton, which is about an hour north of home base and in the foothills of the White Mountains. So if you're interested in joining us on Saturday, Feb. 6, lots of detail below. And one program note: I had also planned a Valentine's Day silent film screening at the Wilton (N.H.) Town Hall Theatre this month, but the schedule has become impossible. CAMPTON, N.H. — He couldn't speak. But that was no handicap for a star during the silent film era. See for yourself on Saturday, Feb. 6, when the Campton Historical Society screens a double feature of vintage Rin Tin Tin silent adventure films with live music. The evening begins with a pot luck supper at 5 p.m. The film program, which is free and open to the public, will start at about 6:15 p.m. Both melodramas were produced by then-struggling Warner Bros. Studio. Rin Tin Tin films proved immensely popular around the world, with audiences marvelling at the then-new German Shepherd breed's feats of derring-do as he often out-smarted his human co-stars. At the time, studio executives referred to Rin Tin Tin as "the mortgage lifter" because the dog's pictures helped rescue the ailing studio from bankruptcy. Both films at the Campton Historical Society will be accompanied live by silent film musician Jeff Rapsis, who uses a digital synthesizer to recreate the texture of a full orchestra. "The Rin Tin Tin films are great pictures for audience reaction, even today," Rapsis said. "They're full of fast-paced action, great stunts—and above all, they really move!" Rin Tin Tin remained popular until his death in 1932, which made headlines around the globe. But his progeny went on to star in later films and TV shows, keeping the name before the public for generations. 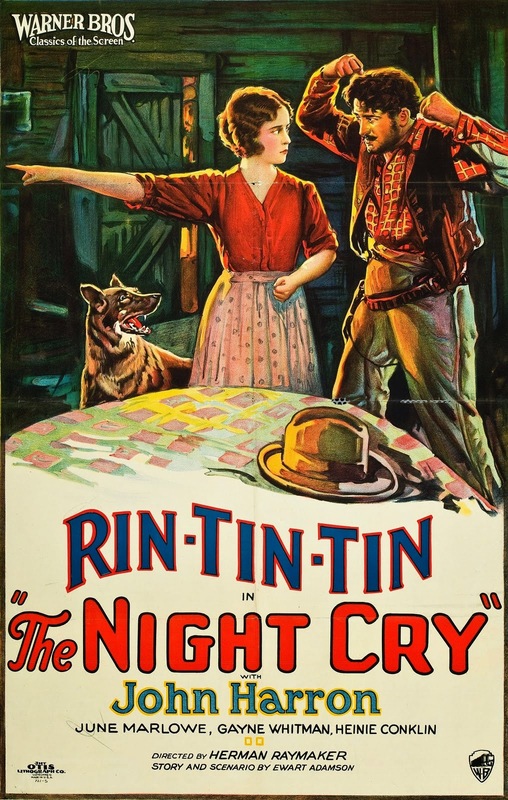 The Rin Tin Tin double feature at the Campton Historical Society aims to recreate the silent film experience as early movie audiences knew it: on the big screen, with live music, and with an audience. "When you put the silent film experience back together, it's amazing how the movies jump to life," Rapsis said. "You can really get a sense of why people got so excited about movies when they were new." 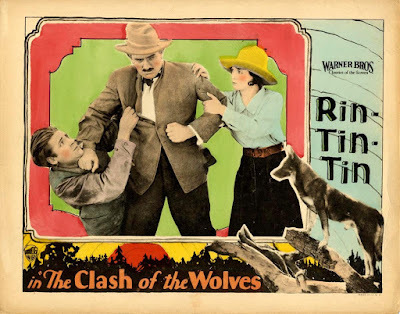 A double feature of silent-era Rin Tin Tin adventures will be shown with live music on Saturday, Feb. 6 at 6:15 p.m. at the Campton Historical Society, Campton Town Hall, Route 175, Campton, N.H. The program is free and open to the public, and will be preceded by a pot luck supper starting at 5 p.m. For more details, visit www.camptonhistorical.org. For more info on the music, visit www.jeffrapsis.com.